Ownership / Access: National Trust. Open to Public. Price of admission: Check their website for Admission prices. 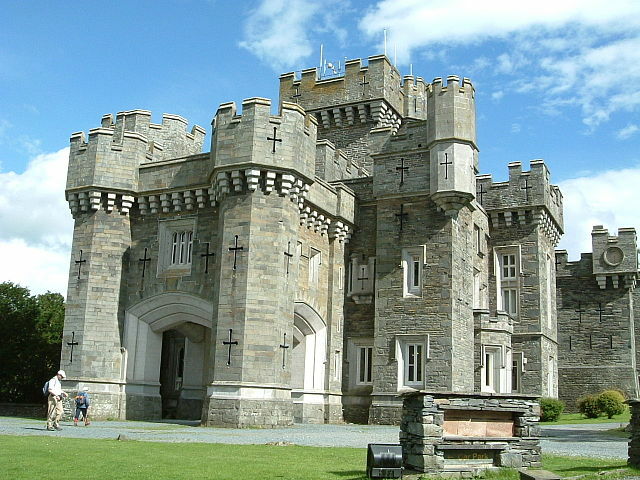 Notes: Wray Castle is a Victorian neo-gothic building at Claife in the English county of Cumbria. The house and grounds have belonged to the National Trust since 1929, but the house has only recently opened to the public on a regular basis. The grounds, which include part of the shoreline of Windermere, are open all year round and are renowned for their selection of specimen trees - Wellingtonia, redwood, Ginkgo biloba, weeping lime and varieties of beech.